Sacred Water Sacred Land is sponsoring a tar sands awareness walk through Wisconsin along Enbridge’s proposed Twin Line #66 starting with a kick-off event in Delevan or Walworth on June 8th. 33 Days on Twin #66, a Sacred Water Sacred Land sponsored walk, begins at the entry point of the Enbridge pipeline system, just south of Walworth, WI and follows the route northwest to Superior, raising awareness about the existence of, and proposed expansion to, the Enbridge crude and dilbit pipeline corridor along the way. 33 Days on Twin#66 will consist of consecutive daily 10-15 mile segments with community engagement talks in a revival type setting at overnight encampments at many points along the way. 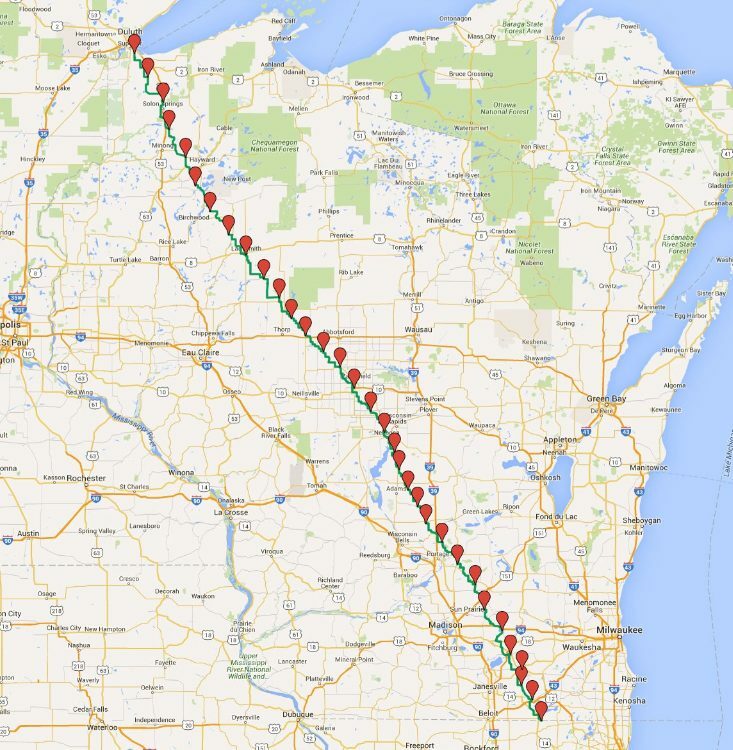 The 420-mile pipeline route is broken into four major sections: northern, upper central, lower central and lower. Winona La Duke, who has fought tirelessly against the Sandpiper expansion in Minnesota, and her sister Lorna, will be riding with us on horseback along several sections of the walk. Affected communities and landowners will be engaged by representatives of SWSL – Sacred Water Sacred Land, CELDF – Community Environmental Defense Fund, and WiSE – Wisconsin Safe Energy Alliance, through an ecological forum where the impact of the expansion and a broader conversation about the adverse effects of Canadian tar sands extraction and transport will be explained. Guest speakers will also address climate change and traditional ties to the land while local residents will be encouraged to share their stories and efforts towards healing it. Through this effort, SWSL endeavors to not only draw attention to the tremendous hazards of tar sands/Bakken oil transport but also help communities imagine and co-create a more sustainable, health conscious society with an emphasis on renewables and non-toxic food systems. We are looking for additional sponsors to lend credence and build support for the Walk. Sponsorship is welcome in many forms. We encourage you to share the Walk with your membership and follow us on Facebook where specific details will be posted as they solidify. If you wish to participate in greater measure, please contact SWSL directly. It is past time to unify our efforts and promulgate ecological systems literacy. We hope you will join us as we work together towards a paradigm shift of social and environmental justice for the natural world and the next seven generations. 1 ~ June 8th – Walworth*, Kick-off! 33 ~ July 10th – Superior*, Renewable Energy Independence Day!